The crisp air is here, and we can indisputably call this fall! Enjoy all that Chattanooga has to offer this weekend! Check out the essential 6 weekend events in Chattanooga below! Chattanooga is one of the most beautiful places to see the colors change, and the best way to do it is with the River Gorge Explorer at the Tennessee Aquarium. 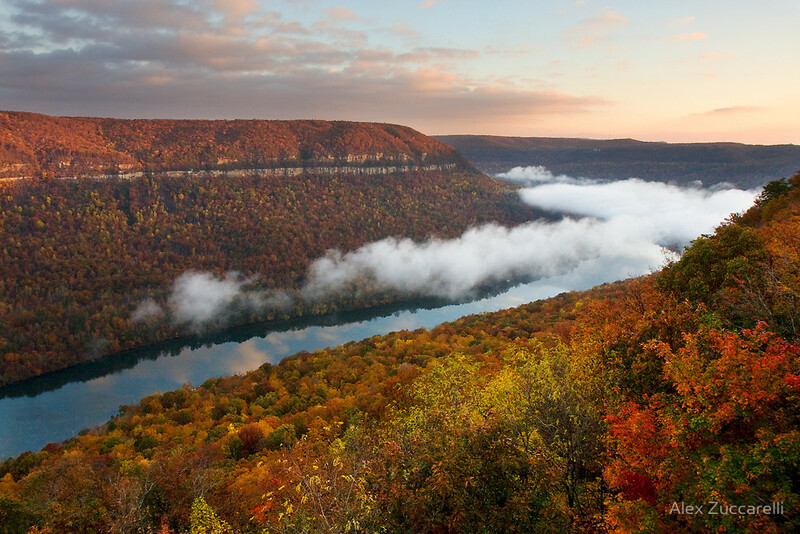 Enjoy the world-class Aquarium and cap it off with beautiful views of the changing colors in the river gorge. You won’t be able to see it any other way! Pro Tip: Buy a combo ticket ahead of time to save time! There is no perfect time to go on a ghost tour than late October! With Halloween coming up, there are several different tours to choose from, I suggest the Murder and Mayhem tour to really get in the spirit! They also offer ‘ghost hunts’… at your own risk! Pro Tip: Reserve your tickets online for a discount! Celebrate Fall at Rock City! Live Music will be offered at Rock City Pavilion, as well as dancing, classes, tours, storytelling, and more! Bring the whole family and paint pumpkins and dig for geodes while you’re at it! Pro Tip: Come on an empty stomach – there are great food and beverage offerings, including adult beverages! Also, go ahead and buy the season pass, as it pays for itself when you come to Rock City or the Enchanted Garden of Lights more than once. $20 adult admission, $12 for children 3-12. Halloween fun for the whole family! The Acres of Darkness benefits Chattanooga Audubon Society, which maintains over 500 acres of wildlife sanctuary across Hamilton County. There are several family-friendly activities – a hay ride, black light maze, inflatables, bon fire, face painting, and pumpkin painting. They also offer a spooky kiddie trail and a terrifying haunted forest trail. Concessions are served as well! Pro Tip: Make sure you’re bundled up in something comfortable! The Chattanooga Market transforms into a platform for street performers of all kinds this Sunday! Musicians, dancers, jugglers, mimes, puppeteers, magicians, artists and more! They will all be performing in every nook and cranny of the market – tips are appreciated. You won’t want to miss this cultural entertainment for the whole family. Pro Tip: check out all of the vendors! You’re sure to find some great stuff! Bring your furry friend, or rent a shelter pet for the day for the 15th annual Paws in the Park fundraiser for the Humane Educational Society. The dog walk is a fun way to support the shelter’s mission of community education and outreach, as well as medical services and shelter for needy animals. Registration begins at 10 and the walk starts at 11 – but be sure to stick around for the dog and human costume contests!! Animal demos, vendors, adoptable pets, and food trucks will also be present! All participants get a free t-shirt and a goodie bag! Pro Tip: If you don’t already have a fur baby, or are considering adding another, walking the shelter dogs is a great introduction! PLUS it’ll definitely make their day! !